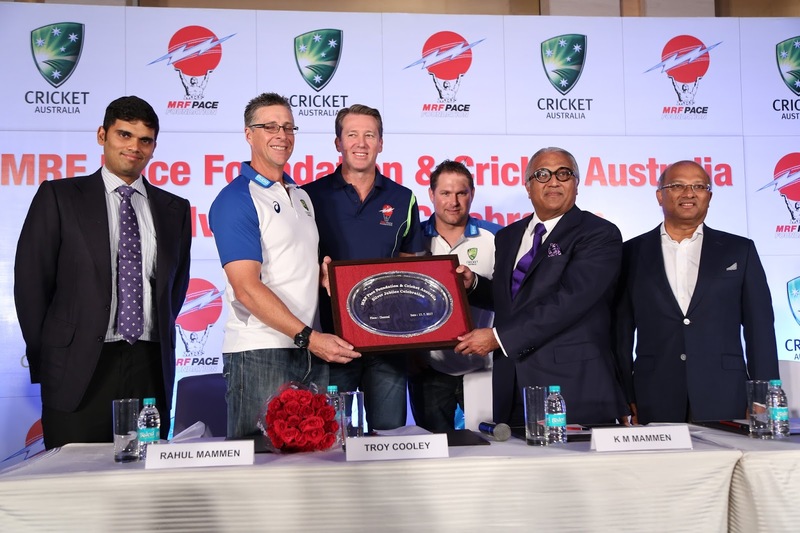 MRF Pace Foundation, India’s premier coaching facility dedicated to pace bowling established by MRF Ltd, India’s No: 1 tyre manufacture is celebrating 25 years of its tie-up with Cricket Australia. This is a unique partnership which over the last 25 years has benefitted trainees from both the sides. The collaboration started in 1992 when the legendary Australian cricketer Dennis Lillee was the Director of MRF Pace Foundation. It is notable that Glenn McGrath, the current Director, was among the trainees who first visited the Foundation in 1992 in the first batch of the programme. The arrangement has enabled trainees from Australia to visit the Pace Foundation every year and, similarly, trainees from MRF Pace Foundation get to visit the Australian Academy. As a result of this exchange programme, when the Australian trainees visit the Pace Foundation, they get to play in different climatic conditions and learn to bowl in Indian pitches that are generally dry and with low bounce, which is not conducive for pace bowling. 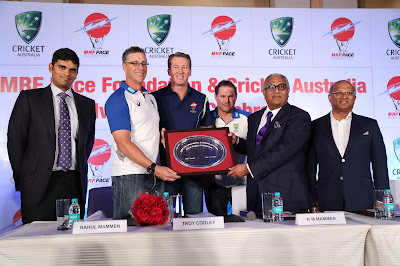 At times, a full-fledged team with batsmen and spinners from Australia visit Pace Foundation and play some matches to experience what it takes to play cricket in Indian Sub-continental conditions. Many Australian cricketers have benefited from this programme such as Glenn McGrath, Brett Lee, Mitchell Johnson and Josh Hazlewood, to name a few. In return, trainees at Pace Foundation visit the National Cricket Centre, Cricket Australia. In earlier days, they had the opportunity to be a part of the Australian Academy Team and participate in the Emerging Players’ Tournament, which includes teams from South Africa, New Zealand and India. This helped trainees to learn to bowl in different conditions, and in bouncy Australian pitches. Currently, two of Pace Foundation trainees from India visit the National Cricket Centre in Australia every year, where they get tested for 3D bio-mechanical analysis and get to train and play matches with other trainees. Many Indian cricketers have benefited from this programme such as Zaheer Khan, T Kumaran, and Varun Aaron, to name a few. Gracing the function to mark the occasion were Mammen, Chairman & Managing Director, MRF Ltd; Mr. Arun Mammen, Vice Chairman &Managing Director MRF Ltd; and Rahul Mammen, Managing Director, MRF Ltd.